With over 31 years of experience, we have access to many commercial lenders. With over 500 commercial lenders available today, the process of finding the right loan you need can become complex and frustrating. With Ocean Pacific Capital, access to the commercial mortgage loan system is the answer. By submitting your application with us, we can place your loan with the best and most cost effective commercial lender. Our access to these lenders allow us to not only find the loan that best suits your need, but also funds in time to complete your project. We offer loan amounts starting at $500,000 to no upper limit. So whether you need a residential refinance, apartment loan, or a commercial loan for an office, strip center, or hotel, we have the financing that meets your needs. We offer the most sophisticated, yet easy to use online tools to research for that commercial mortgage loan that you are looking for. Our tools work equally well for the small and big, as well as the conventional and the unique. Our commercial financing specialists can help you with the various commercial loan proposals to match the commercial loan programs available to you. 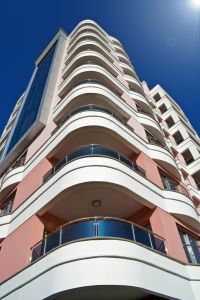 Whether you are a commercial broker looking for sources for funding or a commercial lender looking for that commercial mortgage loan, Ocean Pacific Capital can help. Our experience in this industry for over 31 years gives us the knowledge and advantage to place your loan in a timely manner. Email or call us today to speak to one of our commercial loan experts to get started on this process today!